Yay! We have the details of the February meetup and we’re so excited to hangout with you again! 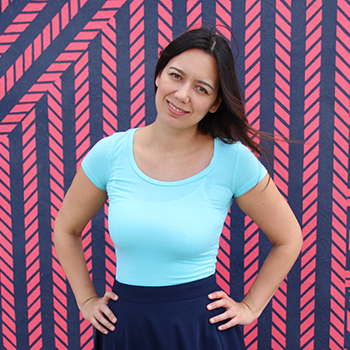 On Saturday, February 20, 2016 we will have guest speaker Annie Vazquez. Nikki Novo will be interviewing The Fashion Poet about her blogging story and she will be open for questions during a Q & A session. We will be meeting at the independent bookstore Books & Books located at 265 Aragon Ave, Coral Gables. First 50 attendees will receive a goodie bag! Make sure to arrive on time. Plus, we will have raffles for door prizes. So much fun! Annie Vazquez is a fashion, travel and beauty expert and journalist who has been coined as one of the pioneers of Miami’s fashion blogging community. This young entrepreneur was voted Miami’s Top Fashion Blog by the New Times and has been featured in glossies such as Vogue, Marie Claire, Elle, The New York Times, Life, Refinery 29 and more. She was the first blogger in Miami to score a major campaign with fashion brand Coach where she produced and starred in a 1 minute commercial for them. Savvy and creative, Vazquez has gone on to work for several other brands as a spokesperson, model and consultant. Some of these top tier brands include Mercedes Benz USA, Bailey’s, Peroni, Tresmme, Victoria Secret Pink, 7 for All ManKind, Forever 21, H&M, Express, Macy’s, Express, Bloomingdales, TMobile and Sprint. 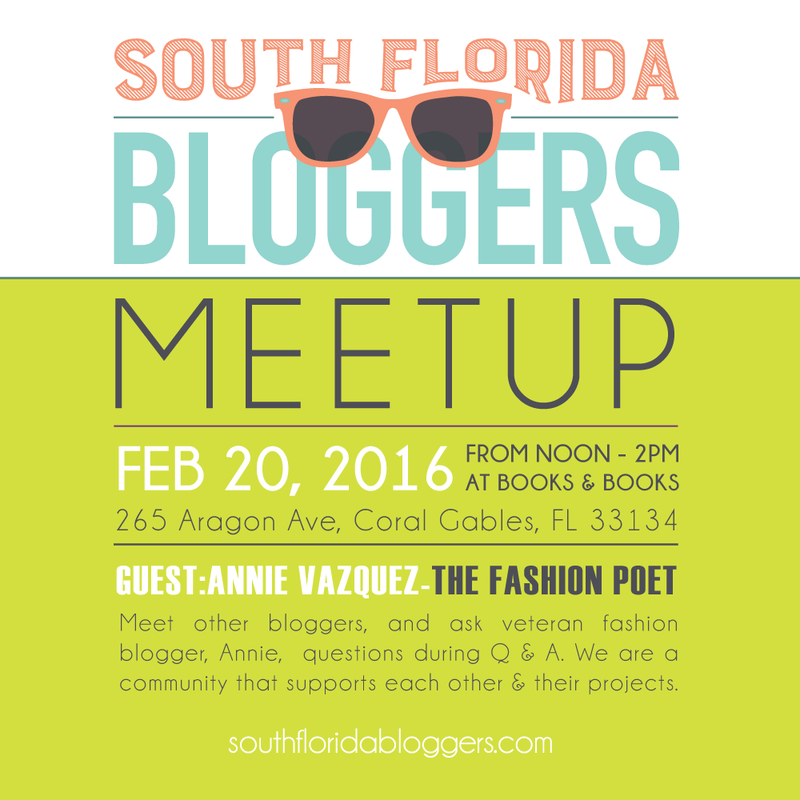 Thank you to Books & Books for hosting our August South Florida Blogger Meetup.